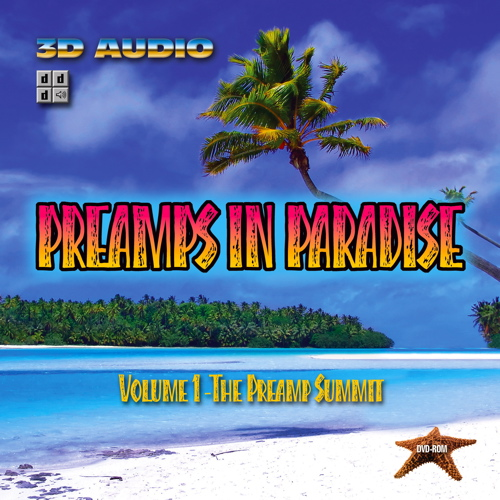 These are the recordings from the Preamps in Paradise Preamp Summit DVD-ROM, the most comprehensive preamp comparison product ever recorded. Featuring 24-bit/48kHz recordings of 6 different instruments drums, bass, electric & acoustic guitar, piano and voice all playing the same song through 24 different preamps, the 290 WAVE files allow the listener to hear thousands of combinations of different preamps or how everything sounds through just a single preamp. These performances feature some of Nashville''s finest: Paul Leim, Dave Cleveland, Lisa Bevill, Tim Akers, Gary Lunn. Simply load the time-stamped files into your DAW of choice PT session included and you will have a preamp jukebox that will allow you to audition preamps or combinations of preamps with a few clicks of the mouse. Also included are liner notes in PDF format, 24 pages of details and pictures about the testing setup, along with comments from participants in the testing. There is a QuickTime movie called "Making the Summit," that allows you to watch what went on behind the scenes. See what it took to accomplish this mammoth task, from setting up and calibrating the preamps to listening to all the different preamp options. 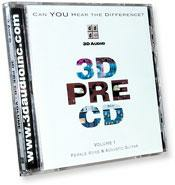 There has never been a preamp resource like this. If you seriously want to learn about preamps and the differences in their sounds, you can learn more in a few weeks with this DVD than any way other than collecting all these preamps and listening for yourself. Here's a picture of some not all of the $150,000 worth of preamps you''ll hear. IMPORTANT NOTE: Listening to these files requires a DAW capable of playing 24-bit/48K WAVE sound files. You will need 3.3 gigabytes of hard drive space. Viewing the PDF documents requires Adobe Acrobat freely available on the internet and to view the movies requires QuickTime available from apple.com for both PC and Mac platforms. 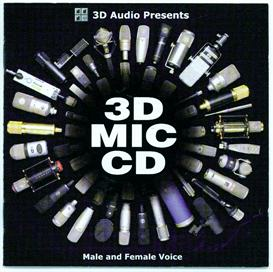 The preamps featured on this DVD-ROM are A-Designs MP-1, API 3124+, Buzz Audio MA 2.2, Chandler TG-2, Cranesong Flamingo, DACS Clear Blue, Daking 52270, D.W. Fearn VT-2, Focusrite 428, Forssell FetCode, Gordon Audio Mk IV, Great River MP2-NV, Groove Tubes VIPRE, Lipinski L408, Manley SLAM!, Mercury M72s, Millennia HV-3D, Neve 1073, Pendulum MDP-1, Summit 2BA-221, TFPro P2, Trident A-Range, TRUE Precision 8, Universal 2-610. Because of the size of the files, this download consists of three segments.